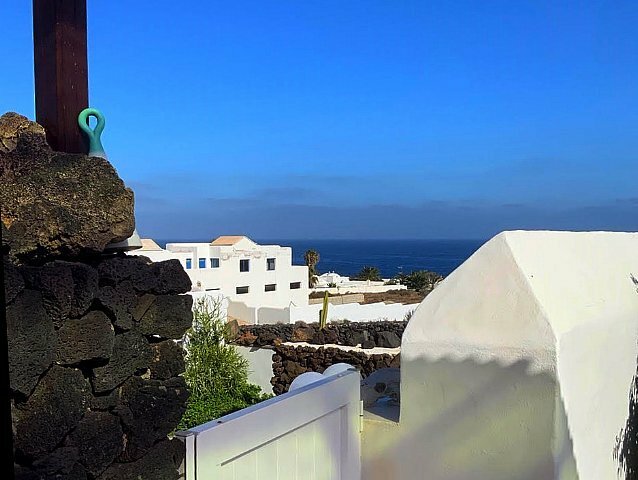 This is a small but very comfortable home, located about 250 meters from the ocean, and it has a beautiful view stretching from the southern part of Charco del Palo to the Ocean. 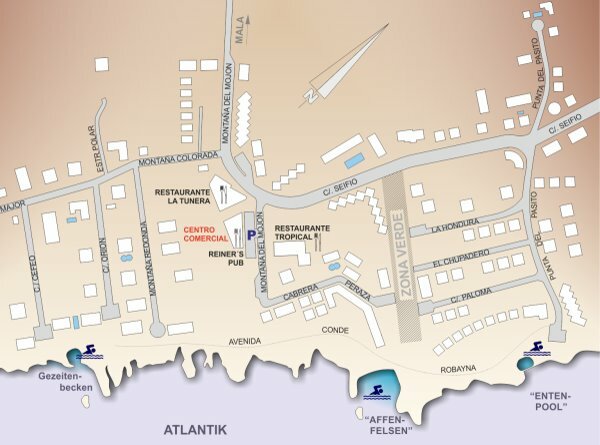 There is a tidal basin at the end of the small street leading down to the ocean. The large living room has a friendly sitting area with a sofa and a side table. An open little kitchenette with a dining table and two chairs is also integrated into the same room. 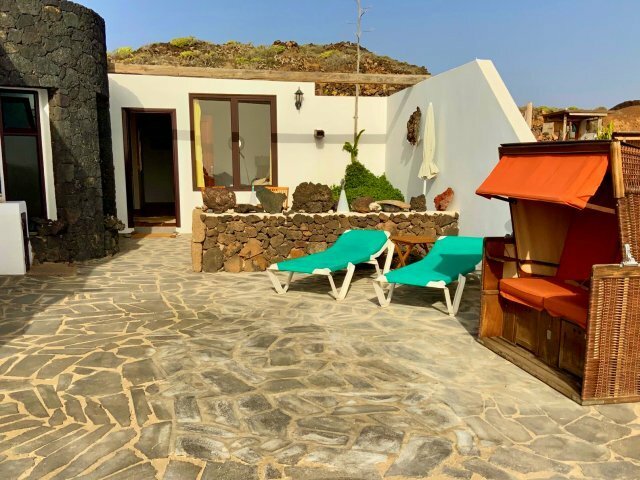 In the rear area you will find the – open – sleeping area with its beautiful double bed and, attached to it, a small shower bathroom with a toilet and a washbasin. The living room also opens up to the terrace which is equipped with lounge chairs, and from here, as well as from the living room, you have a view of the Atlantic Ocean. The apartment has newly been renovated and is also newly furnished (August 2012). Price for 2 persons 50 eur / day. You lived already here? You want to leave a comment? Please feel free to do this using our guestbook. 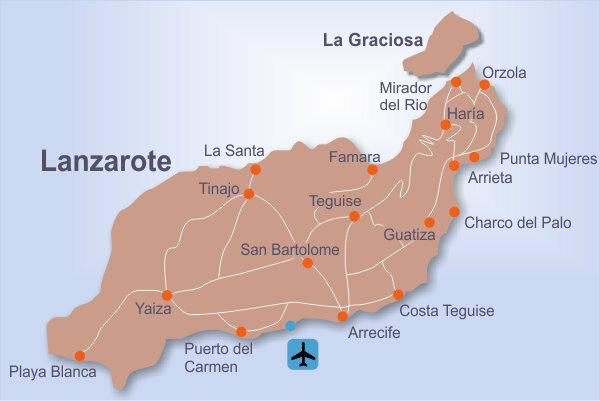 May be you are also interested in the following altenatives: Casa Sergio.